Wedding transportation has to be the most exciting part of your wedding plan. The very thought of getting on the wedding spot on different transportation excites you. Whether you want a unique getaway with your partner only or want your whole bridal party gang, the choice is yours. Here are several hot options that you need to seriously consider for a stylish entrance on your wedding day. Sports cars are perfect for thrill-seeking couples. If you are looking for an edgier ride, sports car ride should be it. 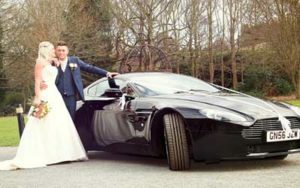 From Ferrari to Lamborghini Gallardo, these top notch sports cars will help you arrive on your wedding spot in no time. And, to get the thrill of your ride, ditch the driver and drive yourself. 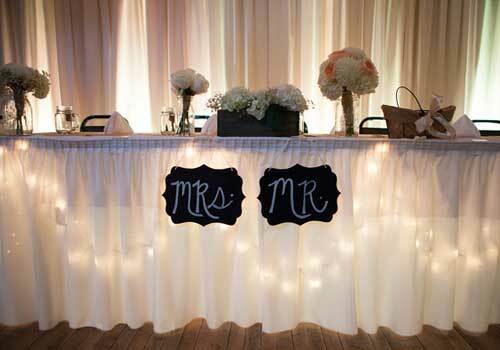 Tip: Consider your wedding colors while renting. And, be extra careful when getting out of the vehicle, especially in a wedding dress. Are you having a beach or lakeside wedding? 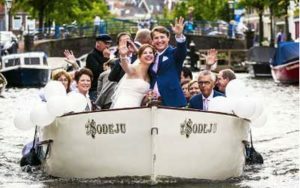 Make a romantic escape in a gondola or a yacht and sail away to your wedding reception. Tip: Try out the paddle boards with your better half after party. 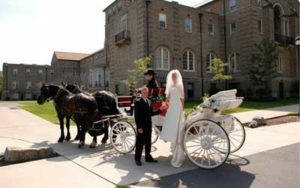 If you want to feel like a princess on your wedding day, a horse and carriage is the best way to arrive at your wedding. If you wish to bring along with your bridesmaid, best man and other guests, rent a few more to lead them in a royal-style. Tip: Hire a horse and carriages with a hood as a backup for a bad weather. Want to make a daring exit or entrance on your ‘BIG’ day? Forget all other options and hire a helicopter. A chartered helicopter ride surely guarantees an amazing experience. And, if you wish to share that experience with your loved ones, bring them too. Helicopters can typically carry up to six people. Tip: Consider your reception location for the helicopter safety landing and check the travel laws too. Party buses have to be the popular and stylish rides when it comes down to partying. You don’t have to wait until you get to the reception to start celebrating. Instead, you can invite your guests (up to 35 people) and party till you reach the reception. Party buses are equipped with a bar, dancing poles, lights and music to make your party ambiance even more fun. 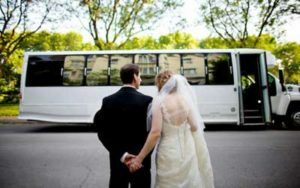 Tip: Hire a party bus in advance prior to your wedding. And, also stock the party bus with drinks/beverages. If you are looking for a fun way for traveling to your wedding venue, do consider some transportation options from the list to make the most of your special day.